WA Senators have provided great leadership, as has Tulalip Vice-Chair Deborah Parker. Time for a thank you phone call, plus a call to your US Representative — their deliberation comes next. 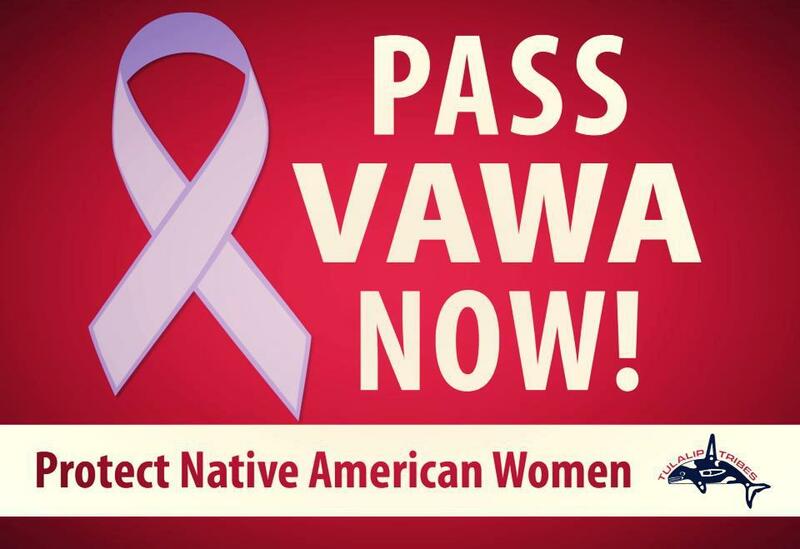 Pass VAWA with tribal provisions intact! THANK YOU for helping us advance the protections of Native women across the Country. Your support is appreciated. This entry was posted in Raven views and tagged Deborah Parker, Tribal Leader Discuss Importance of VAWA, VAWA, Women Senators. Bookmark the permalink.